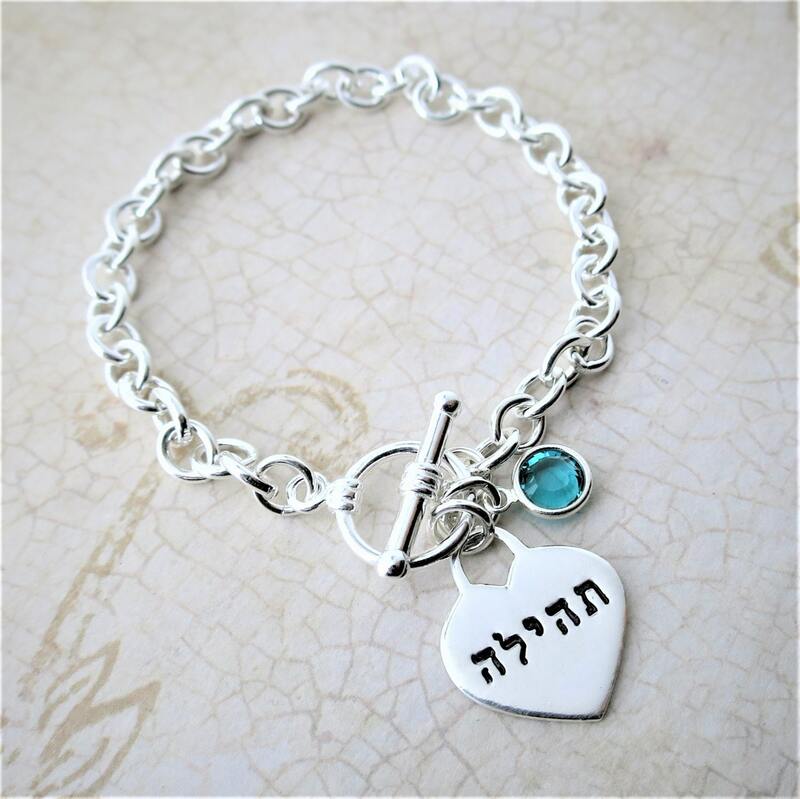 This sterling silver bracelet will be created for you using medium-heavy weight 5.4mm sterling silver chain, a small sterling silver toggle clasp (9.5mm) and a sterling silver heart charm. 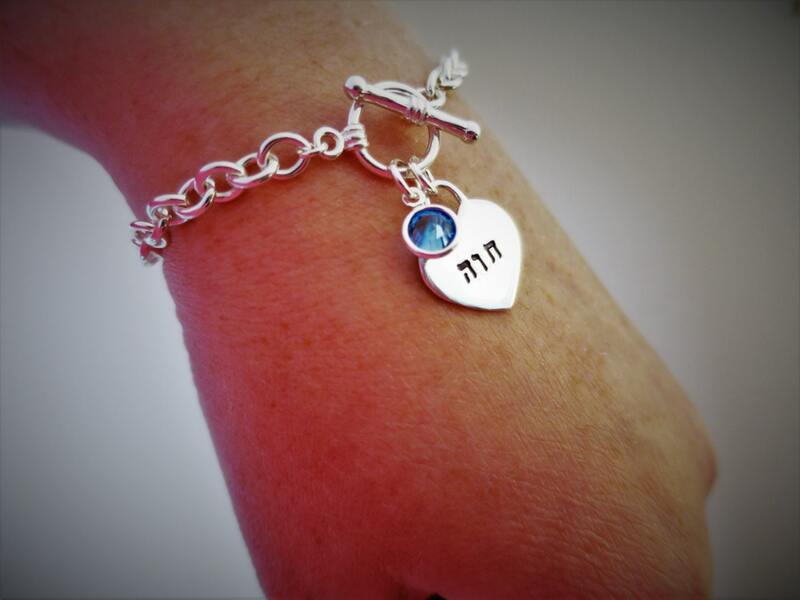 Heart charm will be hand stamped in my Hebrew font with the text of your choice. 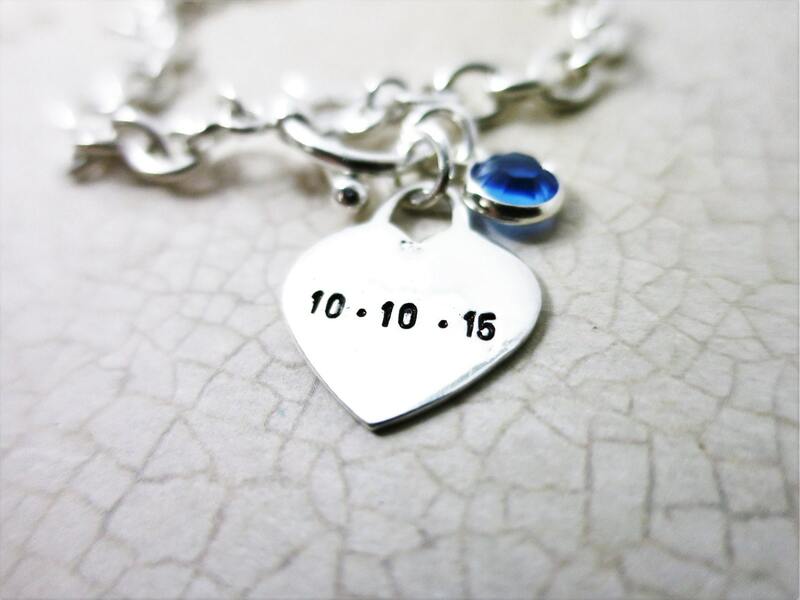 Choose whether or not to add a birthstone too! The heart charm measures approximately 3/4". Chain lengths available from 6.5-8" through this listing. Need a different length? Contact me! 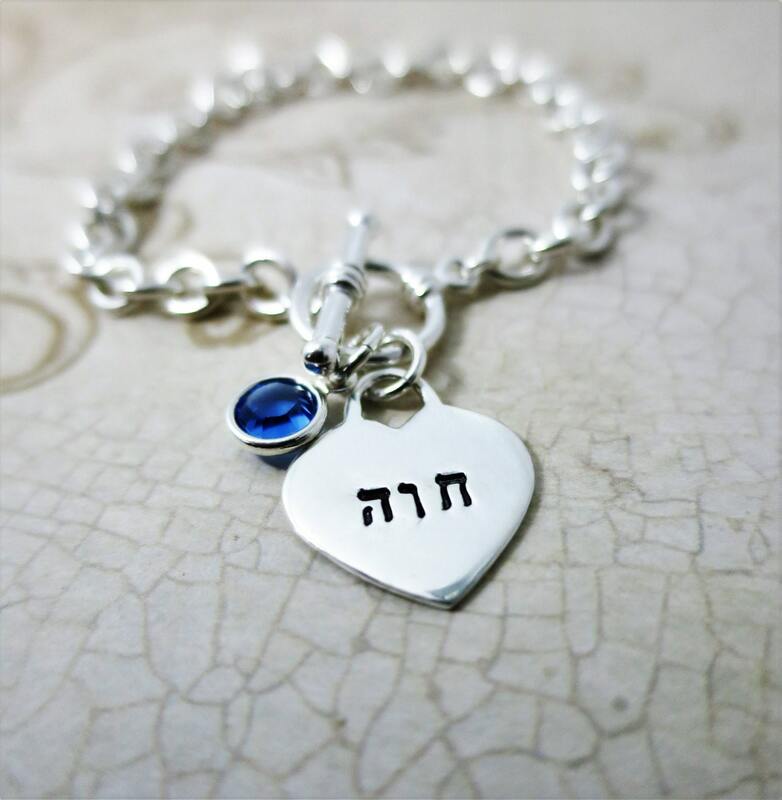 Please specify text and birthstone (if purchased) in the note space at purchase.